We learn from Radio New Zealand that the 16 ‘refugees’ from Muslim countries are going to Chicago, Las Vegas, Texas and Arizona (cities in TX and AZ not named). More mostly Muslim young men on the way to America on the taxpayer’s dime! Trump’s travel ban has eliminated those from Somalia, Sudan and Iran, but golly-gee, this bunch is from those safe countries of Afghanistan, Pakistan and Rohingya from Bangladesh/Burma. President Trump promised the Aussies that we would take up to 1,250 of those the Australians don’t want in their country—Obama’s dumb deal is Trump’s dumb deal now. Of course it all has to do with Hungary and Poland standing against the European Union that is demanding those countries take their ‘fair share’ of migrants who have arrived illegally by the hundreds of thousands in recent years because France and Germany were spineless. If the EU cuts off their funds, why don’t they just join the Brits and leave the EU? Eastern EU states such as Poland and Hungary would be punished under the proposals if they are deemed to have fallen short of the bloc’s ‘democratic values’. While Trump and Macron swooned, the Hungarians and Poles were standing firm against bullying from France and Germany. Come on Donald, snuggling with Macron isn’t helping your image. Where is the State Dinner for Viktor Orban? Rohingya ‘refugees’ back in the news (why you should care)! I’ve told you before that I turn on CNN every morning so I get a feel for where the Left is going every day and today I said uh-oh, here we go on the Burmese Rohingya again. CNN featured a longer piece on the “plight” of Rohingya Muslims in Burma (a Buddhist country). Before I get to the numbers breakdown over the last ten years…. Did you know that the US Conference of Catholic Bishops filed an amicus brief against the Trump Administration in the travel ban case before the high court? I didn’t, but it really isn’t a surprise. You know where this Pope stands! Of course, they are free to file briefs, but I just wish they would for once admit that they receive millions of your dollars from the US Treasury every year for their Migration Fund (nearly $100 million to the Bishops alone, not including the other millions that go to Catholic Charities to ‘care’ for those migrants). Just once I wish they would admit they have a pecuniary interest in how the travel ban is resolved. 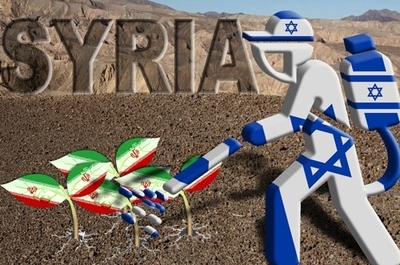 The post The Tired Lies of Taqiyya appeared first on Raymond Ibrahim. That is the question a young opinion writer asks and answers (in the affirmative of course!) in the wake of Wednesday’s Supreme Court hearing on the President’s travel ban. 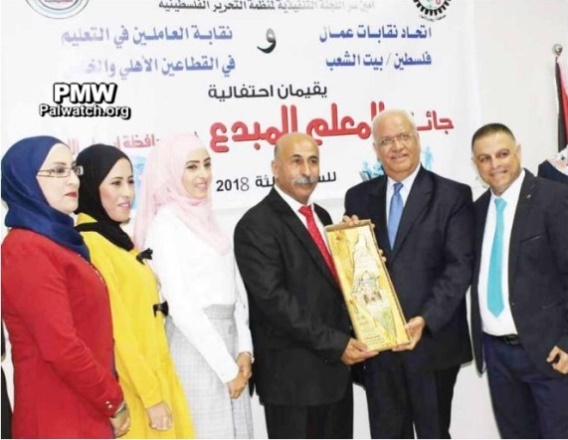 The article includes a picture of Secretary of the PLO Executive Committee Saeb Erekat giving an honorary plaque featuring the PA map of “Palestine” that presents all of Israel as “Palestine” together with the PA areas.